Log into the AWS console: https://console.aws.amazon.com/console/home. Click your account name and select Security Credentials. 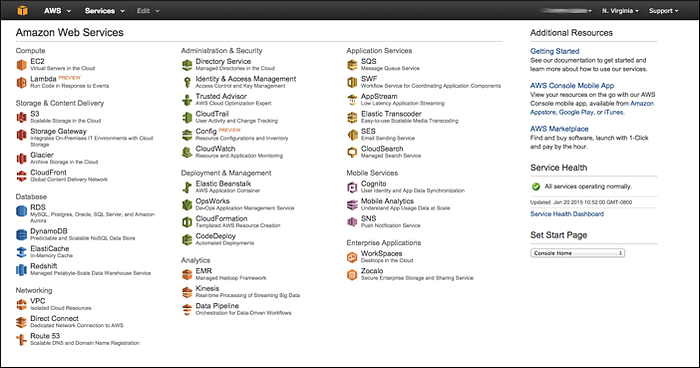 If the AWS IAM confirmation box is presented, click Get Started with IAM Users to go to IAM Users management page. Alternatively go directly to users list. Click Create New Users button. Enter a descriptive name for a new user, make sure that access keys will be generated for each user and click Create button. Record Access Key ID and Secret Access Key for later use. Click Close link to get back to the list of users. Click on a new user from the list of users. 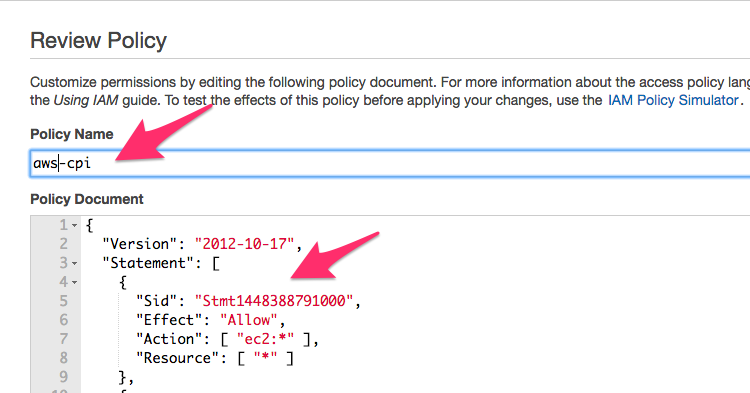 Click on Inline Policies panel and choose to create a new inline policy. 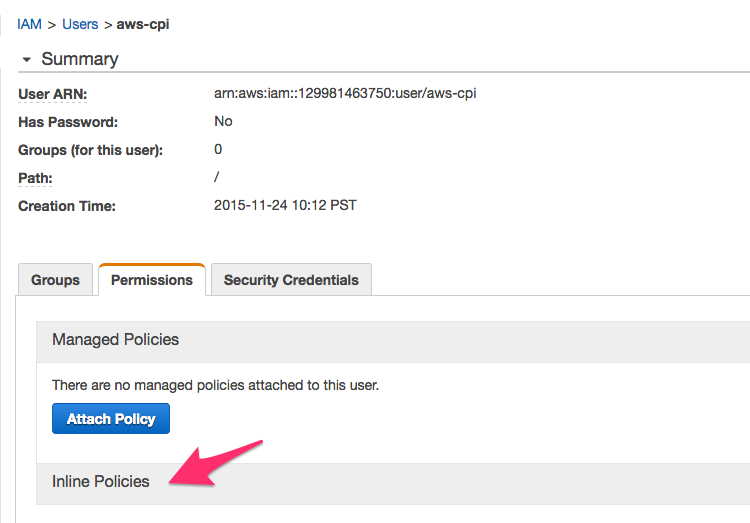 Add a policy configuration for the chosen user and click Apply Policy. The CPI provides a sample policy which supports all functionality provided by the CPI. Please review the policy to further limit unnecessary access for your environment.